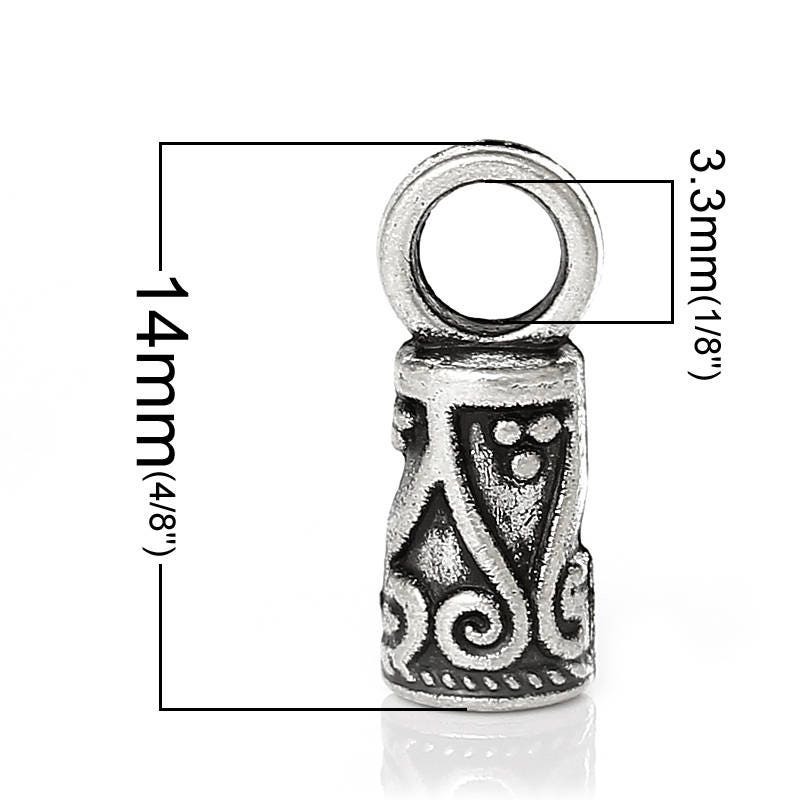 Necklace Cord End Tip Beads Caps W/Loop. 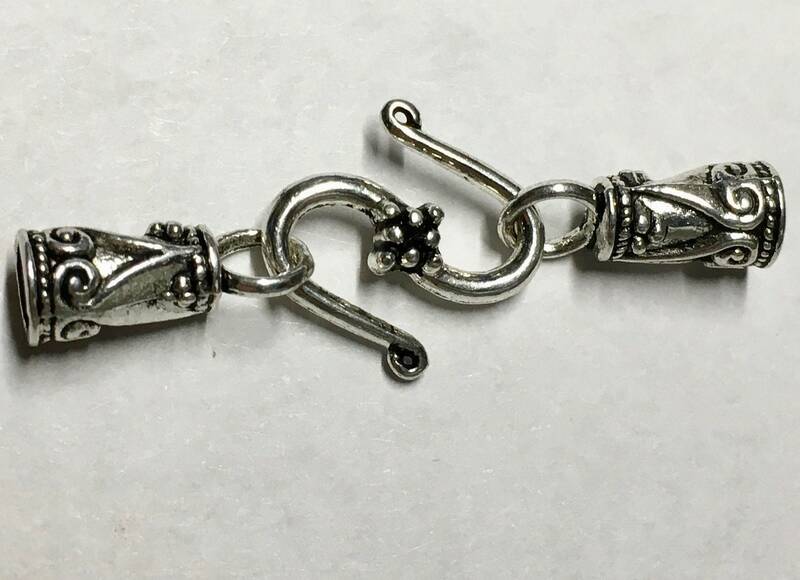 Antique Silver Flower Pattern Carved 14mm x 5mm. 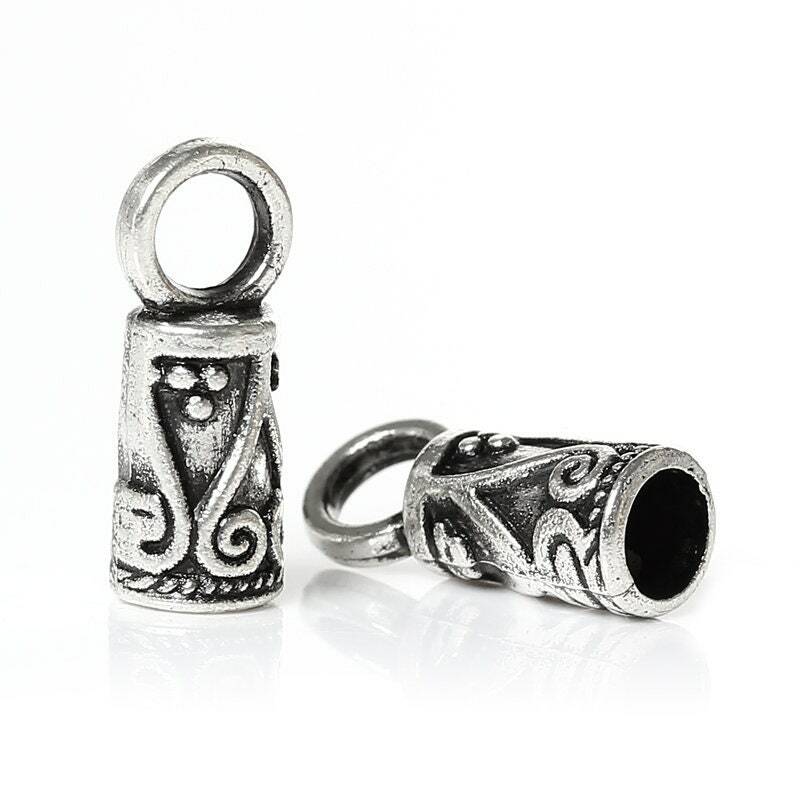 Each set includes 2 end caps. You will receive a total of 20 end caps - 10 complete sets. 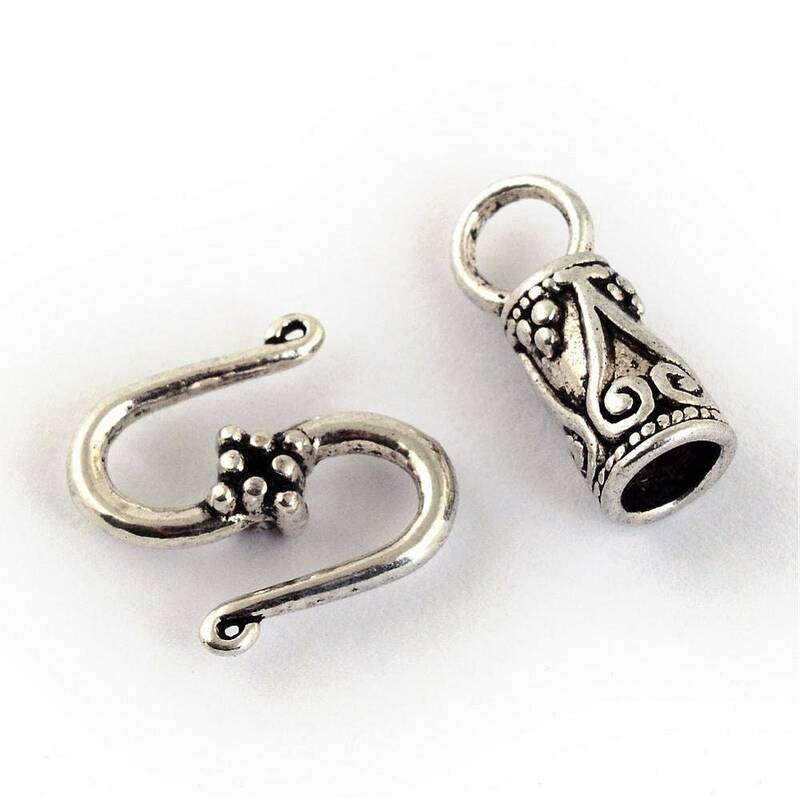 Bonus of 10 S hooks that can be used optionally with the set or separately on other jewelry.